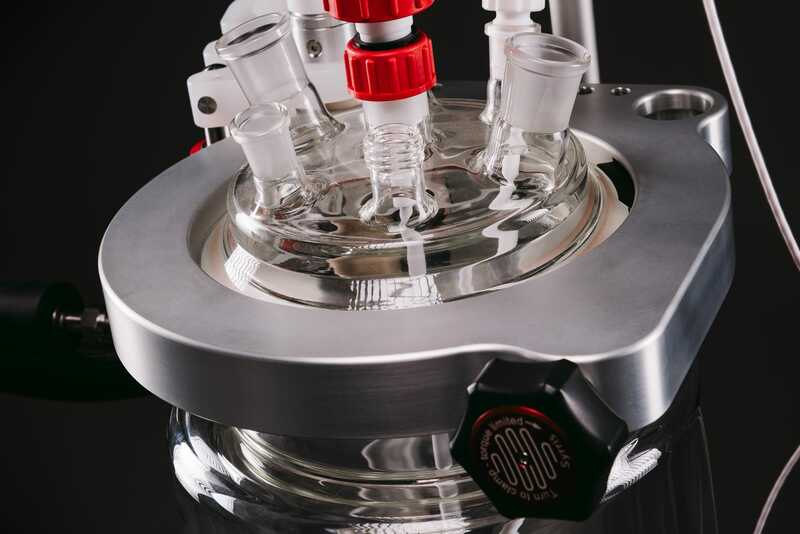 Discover a round-up of flow chemistry resources to further your knowledge and understanding of flow chemistry, its benefits and limitations, and its uses in industry and research. 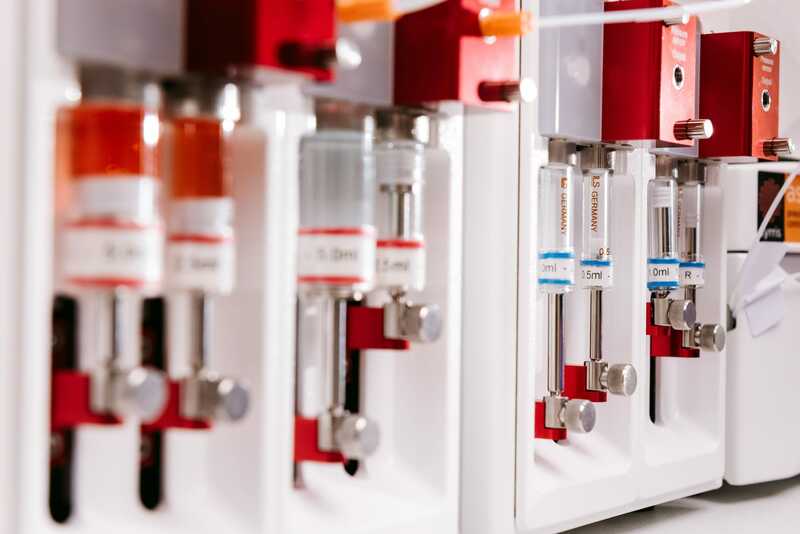 Learn all about flow chemistry and discover why chemists in various industries including pharmaceuticals, petrochemicals, agriculture, chemicals, and more are introducing flow chemistry into their labs. 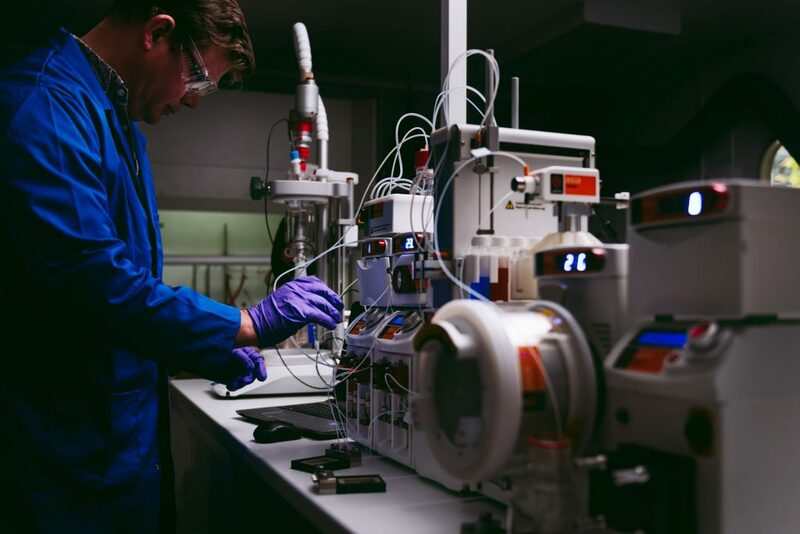 “Flow chemistry”, sometimes referred to as “plug flow”, microchemistry”, or “continuous flow chemistry”, is the process of performing chemical reactions in a tube or pipe. 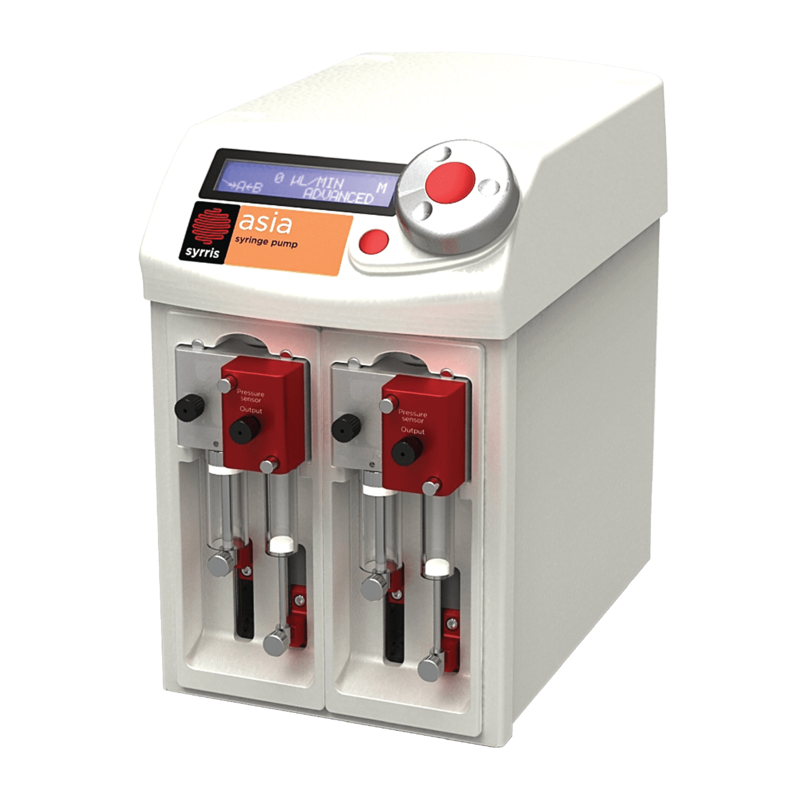 Reactive components are pumped together at a mixing junction and flowed down a temperature-controlled pipe or tube. 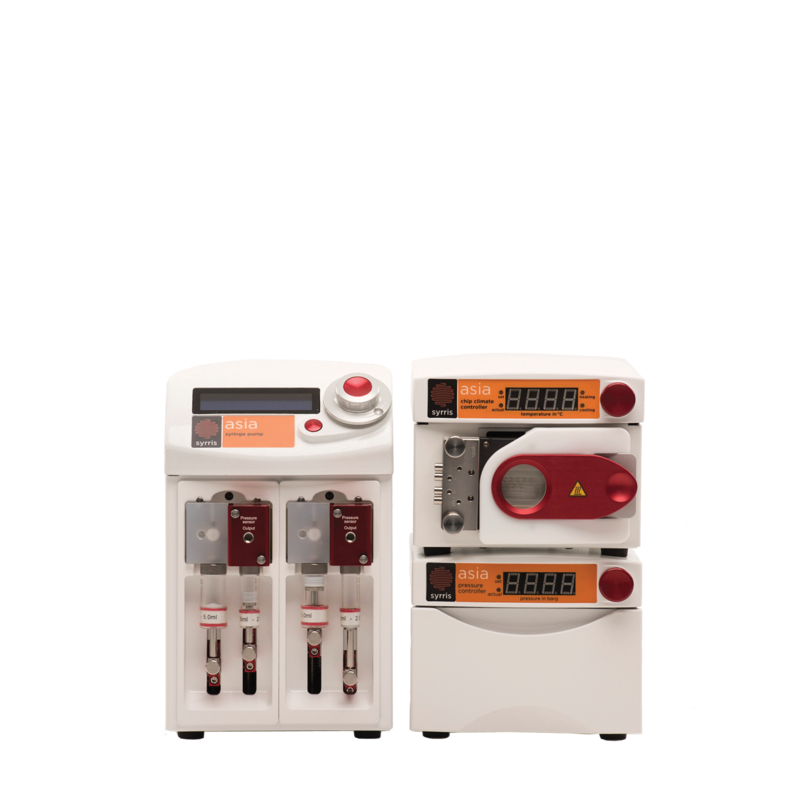 Discover the “what is flow chemistry” application page for a detailed breakdown of how it all works. 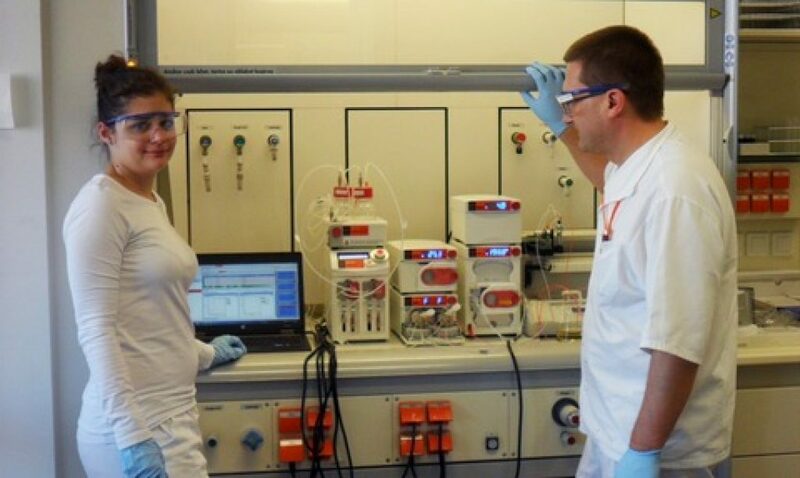 So you know what flow chemistry is, but why should you consider introducing flow chemistry techniques into your lab? 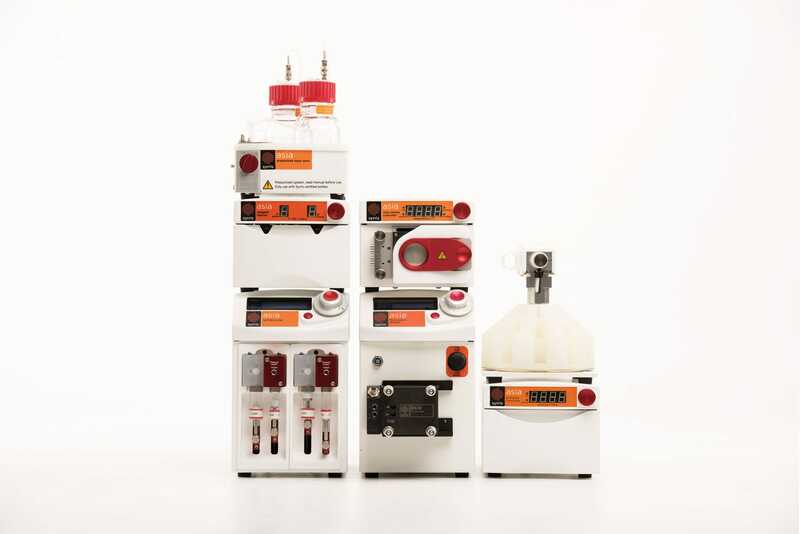 Faster, safer, more selective reactions with improved yields are just a few of the reasons. 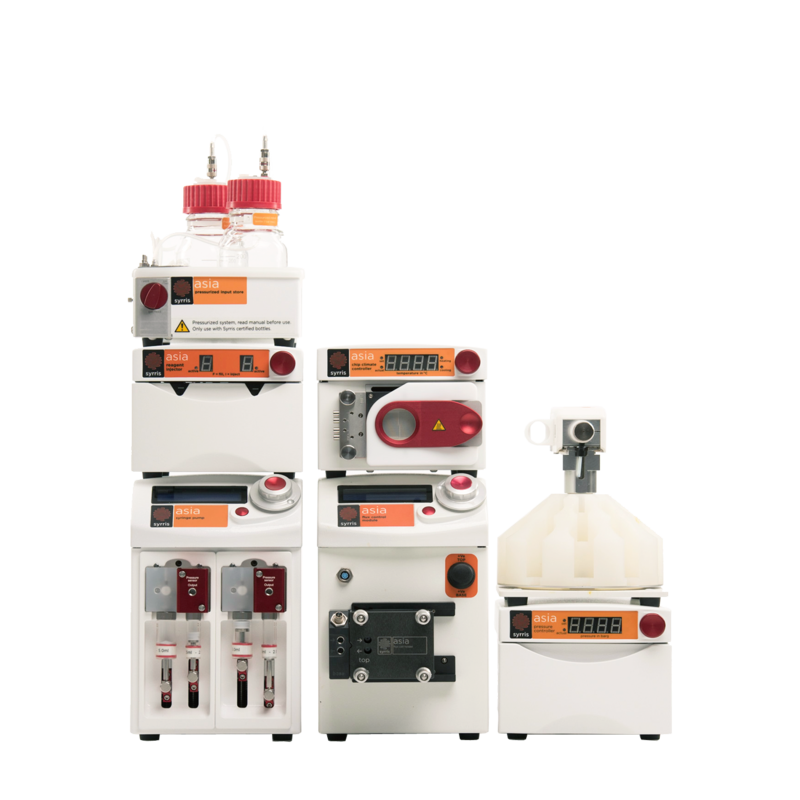 Discover this blog post to see the 9 main reasons your lab needs to consider using continuous flow. 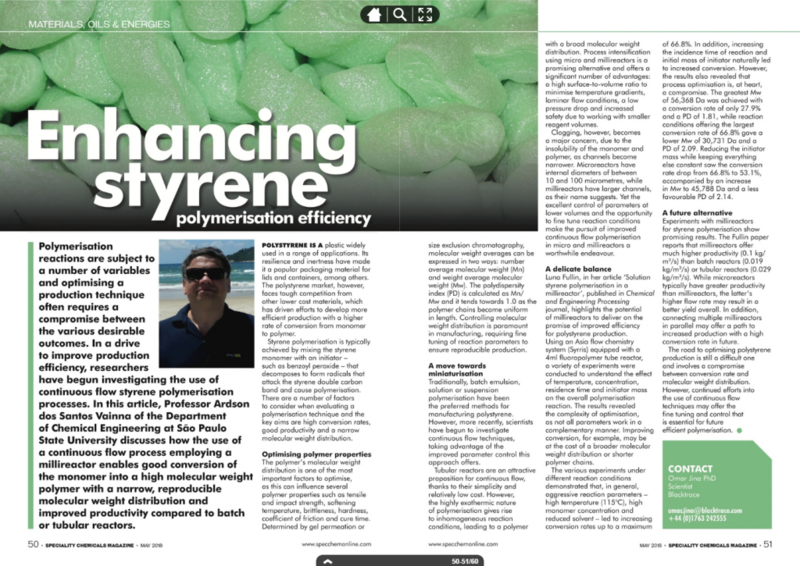 In an article published in the May edition of Speciality Chemicals Magazine, Professor Ardson dos Santos Vianna, Department of Chemical Engineering, São Paulo State University, discusses how the use of a continuous flow chemistry process in a Syrris Asia Flow Chemistry microreactor system enhances the efficiency of styrene polymerization in an effort to combat the introduction of other lower cost packing materials. 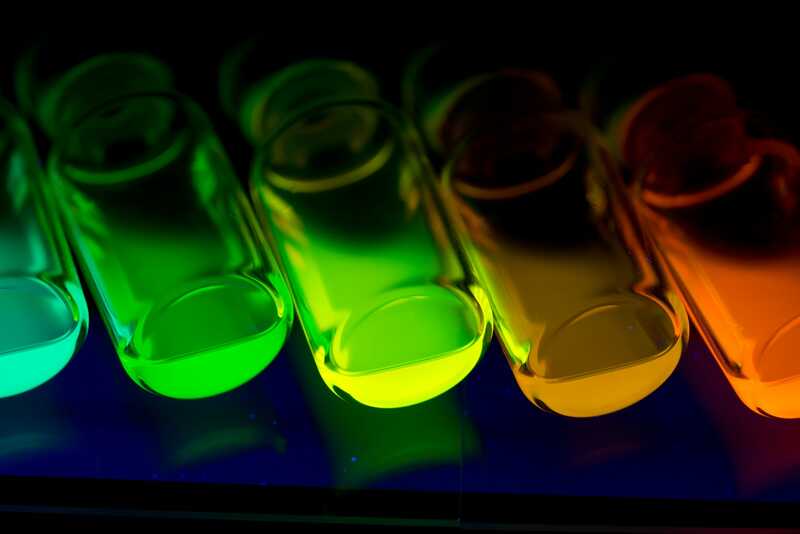 Using a Syrris Asia Flow Chemistry system, drug discovery researchers at innovative pharmaceutical company, Gedeon Richter, have been able to create new heterocyclic scaffolds – chemistry that was impossible to them before adopting flow chemistry techniques. 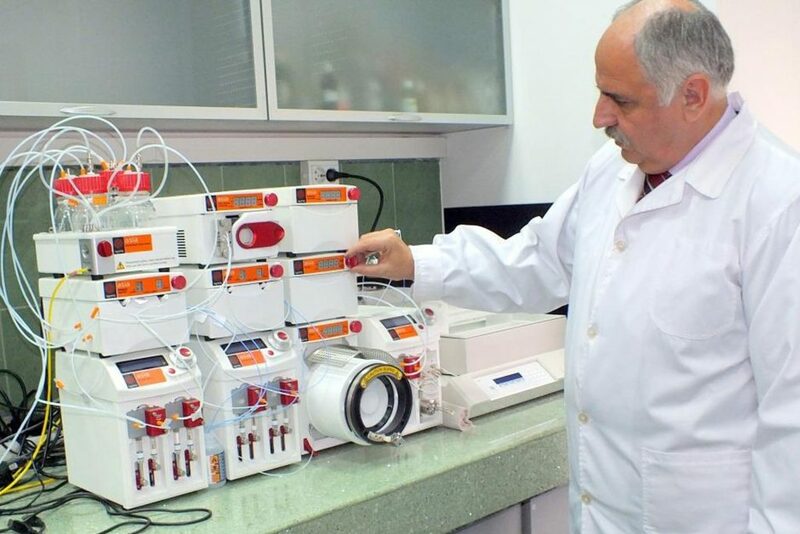 Professor Dr. Rodrigo de Souza, Associate Professor in Organic Chemistry, and his team at the Institute of Chemistry of the Federal University of Rio de Janeiro, are using an Asia Flow Chemistry System to develop biocatalyzed continuous flow reactions – the first University group in Brazil to do so.